Create. Celebrate. Shop. Eat. Laugh. Sunshine Studios is a community space for creating and celebrating. To be inspired and reenergized. To meet up. Make plans. Mark milestones. And frankly, it’s just a great space too, with its hardwood floor, sweeping windows and intricate tin ceiling. The Studios is located in the former Artcrest building in the heart of Uptown Maumee and just two doors down from our sister business, Georgette’s Fair Trade Grounds & Gifts, which can serve up meals or light snacks for a party of just about any size. So Create. Celebrate. Shop. Eat. Laugh. 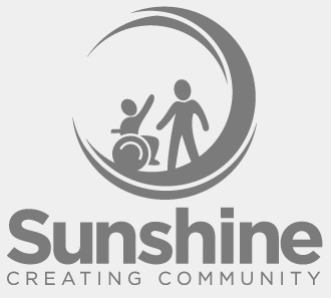 Sunshine Studios is here for the whole community. Let us help you personalize your party or simply a fun night out with a few friends. Call Sunshine Studios at 419-891-8877. Sunshine studios loves scout troops! Capping a tour of the studio by a Sunshine artist is our hands-on pottery activities or an art project of your choosing. Sunshine Studios covers all requirements for scouting pottery badges. Cost: $10 per scout. Welcoming an addition to your family this year? Guests can create a one-of-a kind gifts to honor that new bundle of joy and the new mom or dad. Refreshments? You can provide your own (no alcohol please) or make it easy: Georgette’s, two doors down, has you covered with a range of meal options and light snacks. Call us to personalize your celebration at 419-891-8877. Sunshine Studios is beautiful space for bridal or couples showers. Shower the bride and groom with unique one-of-a-kind gifts created by each guests, and seal them for eternity with your signatures or special wishes. Some ideas to start? Dessert plates, chargers, bowls, and his-and-her coffee mugs. Sunshine Studios offers its studio for your fine art requirement. From paper crafting to clay works of all kinds to canvas painting, we offer all levels of instruction to all age groups and abilities. Finished items are showcased in a community show open to the public in November. Call for details or to schedule your hours at 419-891-8877. Give the gift of creativity for your special one’s birthday. The birthday boy or girl and each guests paints their own pottery as a forever keepsake of the day. Cake? Bring your own or order from Georgette’s, our sister business, two doors down. For experienced artists, Sunshine Studios now offers open studio time and the use of our wheels, extruder, slab roller and other equipment. Open studio time is 10 a.m. to 3 p.m. weekdays and 6 p.m to 10 p.m. Tuesday and Thursdays. We now offer outside firings for those who need kiln space, too. Fees based on size of pieces. Contact us for details and pricing at 419-891-8877 and ask for Larry.